The other Giant Chess product called Reality Kingdom chess is kind of wooden custom chess. This picture is one of custom chess set that very unique and attractive for decorating your house and a gift for your children or friends. The custom, rather than classic, chess sets we offer are the result of our sculptors' imaginations. Here you can also get an idea of customized Chess products that you yourself may wish to design and have created by us. 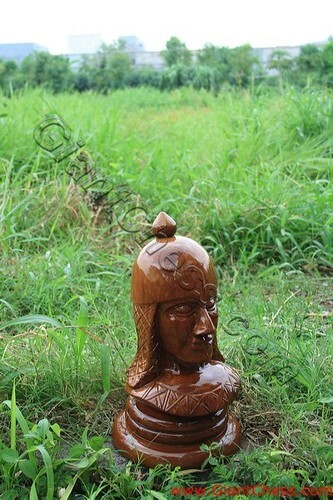 Chess players are very creative in the use of their imaginations, and the customized chess pieces and sets that have been ordered from us, for play or collection, are unique and special. If you have an idea for such a product, please do not hesitate to tell us what it is, and we will create it in such a way as to do justice to your imagination.